With JummaTul-Wida around the corner, we are coming towards the end of the holiest month of the year, Ramadan al-Mubarak. 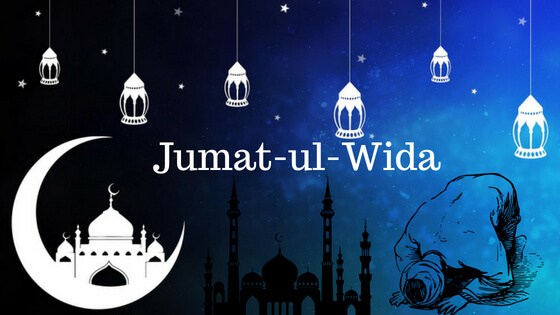 Jumma-Tul-Wida or the Last Friday of Ramadan is intended to bid adieu to the sacred month of fasting. It is observed across the world with religious enthusiasm and sacredness. An extensive number of devotees go to the Juma prayers at various mosques seeking divine blessings for peace and happiness and for the unity of the mankind. In Islam, Friday is the most exceptional day for worship and for performing other pious deeds. 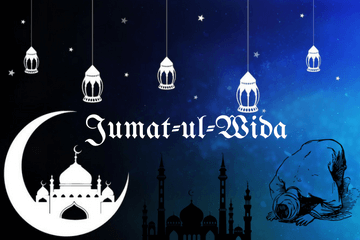 Friday can also be referred to as Eid of the week for all Muslims, in light of the fact that there is much resemblance between Eid and Friday. On both days Muslims offer two cycles of namaz and play Khutbah (sermon) of Imams. “Allah Almighty forgive and forget the immoralities performed between two Fridays of the person who does his Friday Namaz frequently”. Of all long periods of Jumma, Juma-Tul-Wida is the supreme Friday and the most critical day for reciting of prayers. It is the last Friday of Ramadan and is one of the holiest Islamic days. However, it is not just about the last Friday. It’s about all the ten last days that have a lot of significance….of course whole month has a lot of importance but the last ten days are much more than a month! And these are some rituals that are mentioned in the Mufateh-ul-Jinan about Jumma Tul-wida. Alllahumma La Tajal ho Akher al 3hde min sia mena iyyaho fainna ja al taho faj al ni marhooman wala tajalni marhooman. If you successfully read this Dua on a certain auspicious time, you’ll get countless blessings of Allah and Maghfirat along with the blessings for next year’s Ramadan. This day holds a deep significance for Muslims all over the world. The last ten days are extremely important from a religious point of view. So, let’s tender a sacred farewell and get the blessings of Allah! ALWIDA RAMADAN!!! !